While January brings winter’s perpetual gloom, it also brings two essential American traditions: the Super Bowl and chili. American Football is so American that only American teams play in the world championships and an American team, obviously, always wins. Originally from Texas in the late 1900s, chili is so American that Americans constantly duke it out to claim their region’s version as “the best” ever. The combination brings us adrenaline, beer, bean, and melted cheese-fueled extravaganza that the whole family can enjoy—especially when the halftime show is good (read: Beyonce). I even have friends who never watch sports, but will fight their managers or call out sick to make sure they can enjoy the Super Bowl and all its food-filled glory. 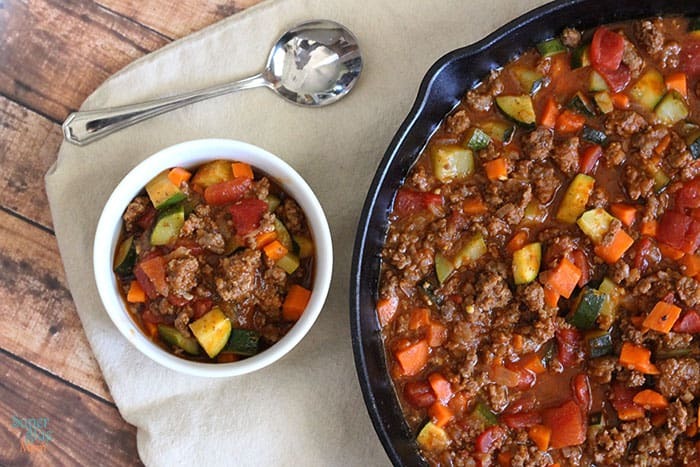 The best part about chili or chili con carne is that it comes in all shapes and sizes—even sin Carne (without meat). Essentially, it is just a spicy stew made of meat, fat, chili peppers, and salt. So, even the tomatoes and beans are optional and you can always make substitutions if you’re going all keto this year. This is what makes it such a great dish. Between my recent battles with acid reflux, my sister’s gluten intolerance, as well as the increasing number of people who are paleo, vegan, vegetarian or can’t do dairy, we are entering a world where making American classics requires flexibility. So, if you are living in this brave new world with me, I have decided to put together a list of mouth-watering chilis that keep your taste buds salivating regardless of your diet. Can you keep a secret? This bean-free, non-dairy, and Whole 30 approved recipe is how you honor your New Year’s resolution to get summer abs while indulging in bacon and Italian sausage. This recipe is so good, people have won chili contests. So, you can deny yourself while feeling free to treat yourself. Previous article7 Touchdown-Worthy Super Bowl Wing Recipes For Your Appetizer Spread!! Next articleThese Are 8 Super Bowl Cocktails That Are A Total Score!